Registrations are open for a Mediation Role Play Day in Perth Western Australia on the 19th November 2017. This course is being held near Perth CBD in a residential style venue. Urgently advise if you need to travel to Perth for the workshop and we’ll work on having a venue big enough that you can have a sleep over with the trainers! Mediation Institute will be providing training to NMAS Standards with facilitators Joanne Law, Director of Studies and passionate dispute resolution advocate and Ken Speakman, trainee mentor extraordinaire. We will be conducting three role plays during the day providing you with the opportunity to complete role plays towards your NMAS accreditation or refresh your skills. Please see our NMAS Accreditation Course information for full information on the requirements for NMAS Accreditation. NMAS Course. Participants who are seeking NMAS Accreditation will be able to complete additional role plays online to meet your full requirements to be assessed for NMAS Accreditation if you can’t meet the requirements during the workshop. 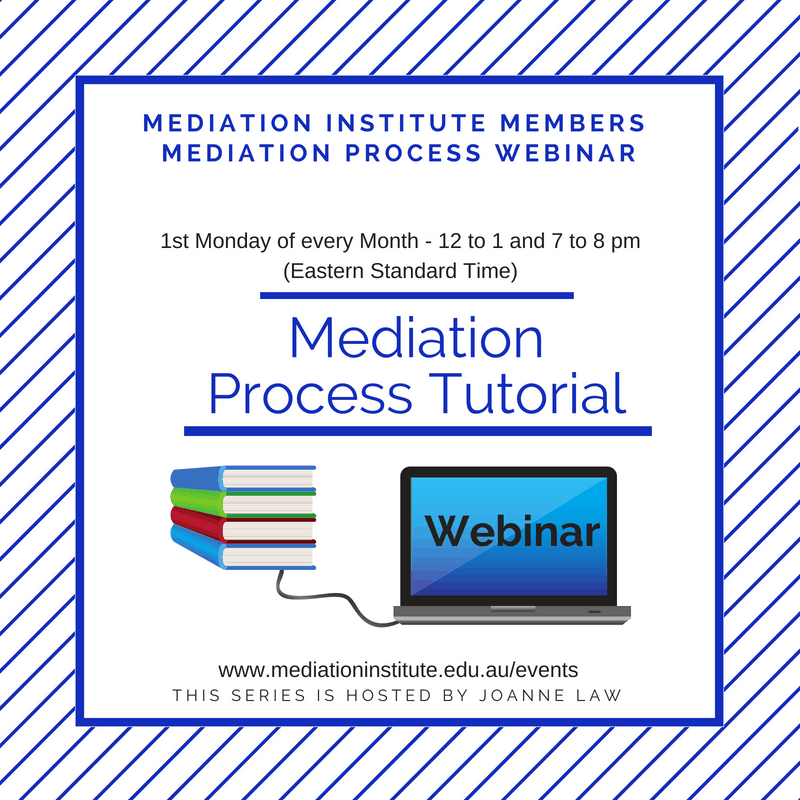 This is for people who have completed an appropriate mediation training course or who would like to sit your NMAS Assessment based on experience. Involves one NMAS Assessment. NMAS Accreditation Course – $3,547 including assessment – Book now to get started before the workshop. Anniversary Special $2,555 before 30th November 2017..